Part of DK's Children Just Like Me series, this book is a celebration of children around the world, the food they eat, and the meals they share, with 27 easy-to-follow recipes from a variety of countries--from Botswana to the USA. Food Like Mine lets kids eat their way through an amazing variety of countries, including India, Sweden, and Mexico, and celebrate the traditions with children just like them along the way. With 27 recipes from around the world, this book unites the traditional dishes eaten by children from diverse backgrounds using four staple ingredients: rice, wheat, corn, and potatoes. These easy-to-follow recipes allow young readers to experience the dishes--and other cultures--first-hand, from sushi and Indian rice pudding to pasta and chow mein. 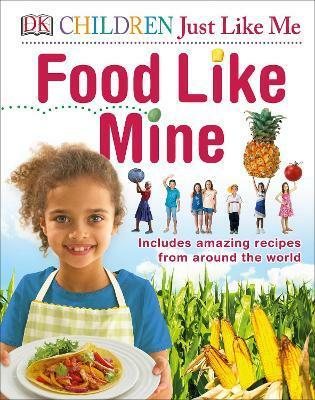 Part of DK's groundbreaking series on children of the world, Food Like Mine shows that, even if people live thousands of miles apart and have different cultural traditions, our lives all share one common ingredient: food.